At this weekend’s Second Fridays in Pilsen, the Chicago Arts District’s galleries featured a show called The Art of Science, an artistic collaboration between scientists from the University of Chicago and Northwestern University. The University of Chicago’s Graduate Council partnered with Northwestern’s Science in Society research center to display artwork inspired by the research of—and created by—graduate students and post-docs at both schools. The greatest success of Friday’s event was its ability to make complicated research interesting and accessible. All of the scientist-artists were present at the event to discuss their art and explain the more complicated research behind them. Throughout the gallery, there was a sense of pride among the scientists, both in the scientific work they were doing and in having a means of sharing the beauty of that work. The gallery effectively merged scientific objectivity with artistic subjectivity. Scientists are usually trained to be objective: they go to great lengths to ensure that any claim they make is grounded in fact. However, this event gave them the opportunity to subjectively express what they feel is beautiful about their work. The Art of Science displayed not only research, but also the artistic influences of the scientists behind it. There were paintings, drawings, and a vast range of digital media ranging from pop art to abstract expressionism. The personality of the researcher acted as a lens for interpreting scientific research, adding a very human aspect to a field that too often gives little opportunity for personal expression. One particularly remarkable piece of art was Practice Makes Perfect by Christine Laramy, a researcher in Northwestern’s Department of Materials Science and Engineering. The photo from her transmission electron microscope was well-balanced with a lightness reminiscent of a watercolor. The way she colored the originally black-and-white photo was bright and comforting. 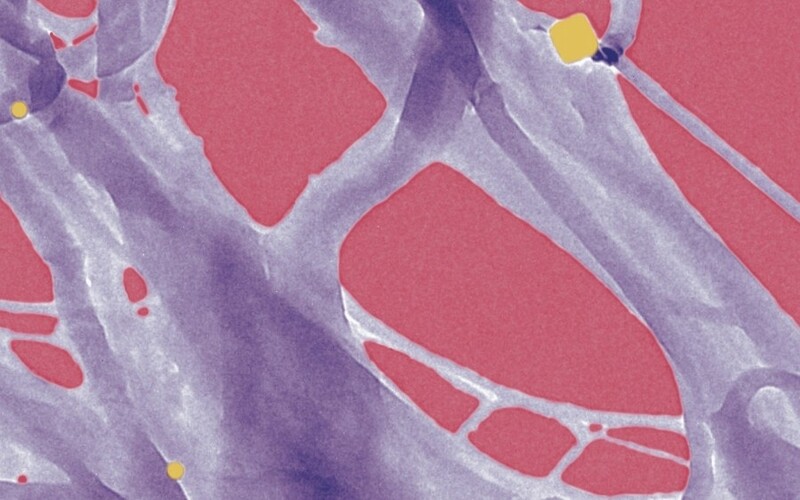 The title was a reference to the many weeks she spent perfecting the process of separating gold nanoparticles from soap: she captured the image after many weeks fine-tuning a new nanoparticle measurement software. Presenting scientific research through art benefits both the art world and the scientific community. University-level research provides not only new subject matter to art, but also tools such as high-powered microscopes, through which most people would never otherwise look. Scientists receive a way of presenting their research to a wider audience with their own unique flare. But the audience benefits most of all, seeing the beauty of the physical world.